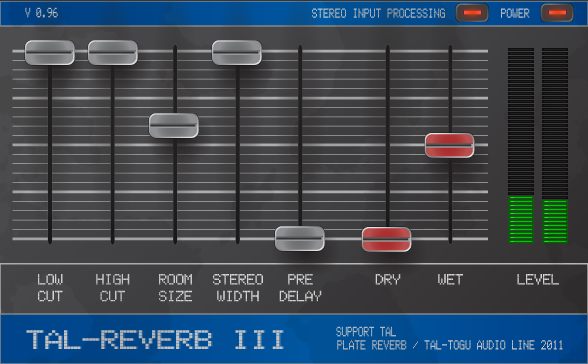 TAL Reverb-II is a super diffuse and lush reverb effect with a fast build up time. Ideal for ambient reverb sounds. 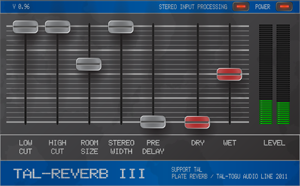 TAL-Reverb-III is an easy to use stereo reverb plugin. It's popular because it's very very diffuse sound ;) It has an additional signal feedback path.